As you say, not very helpful. But thanks for the tip about Foyles - I'll drop in, next time I'm up in London. What a surprise to hear the 'true' voice (but is it correct to say so?) of Andreas Scholl in "Durch Barbarei" and "Wes mich mein buehl" !! A very pleasant,warm and clear baritone voice. Marc Lewon and Crawford Young together in the instrumental group. Now I'm anxious to listen to the Ensemble Leones in the same (more or less) repertoire ! 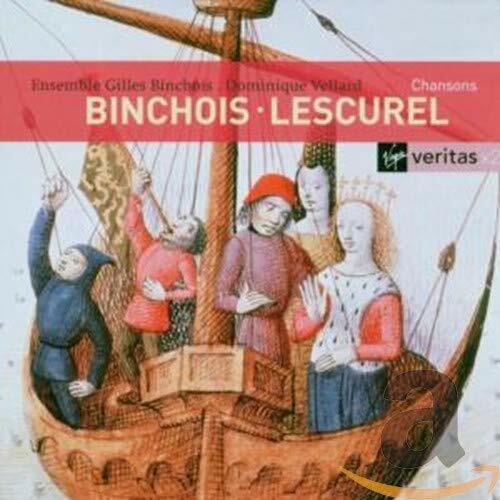 A very nice selection of music from 12th-13th centuries, arranged and performed very well, imo. 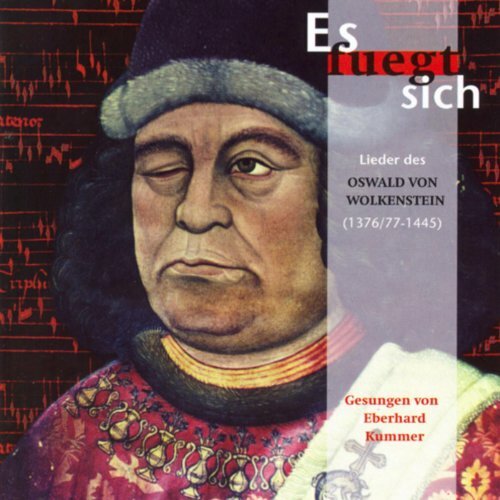 Gerard le Vot's name came up in the Purchases thread and led me to this CD. Andras Kecskes leads this ensemble, and I think he plays lute and other stringed instruments. About seventy of Gaucelm's poems and fourteen of his melodies survive. Six poems are addressed to Boniface of Montferrat, and twelve to Maria de Ventadorn. Several of his poems are accompanied in the manuscripts by detailed explanations (razós), usually concerning love affairs and rivalries that allegedly inspired the poems. These tales involve Gaucelm with Hugh IX of Lusignan, his son Hugh X, Alfonso II, Count of Provence, and others. Anyone familiar with them care to comment? My main issue would be if the perfomance styles are still relevant or outdated? His approach to Wolkenstein is very different from the others I know. Formidable !!! P.S. 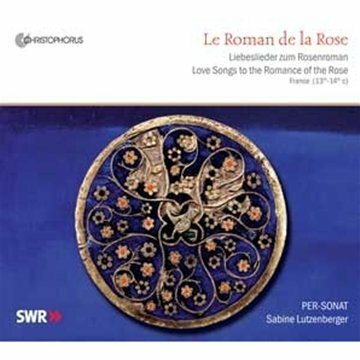 Le Roman de la Rose is not included in the 11cd box , but it was already present in my fast growing (too fast ?) 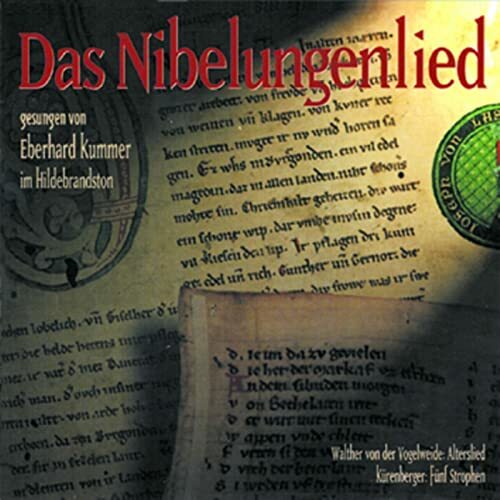 medieval music collection. 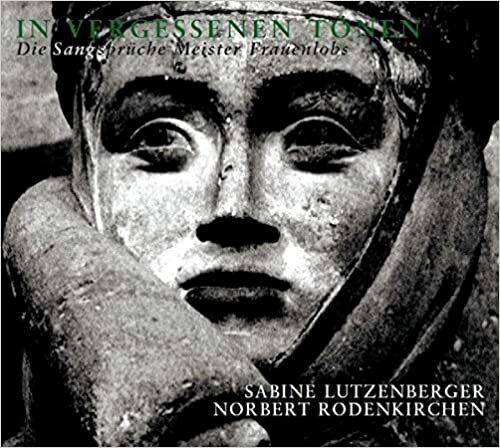 Not even the Lutzenberger/Rodenkirchen CD (with stunning cover photo) is included : just ordered . Thanks. Another artist to explore, much more quintessentially medieval than Eberhard Kummer, is René Zosso. The thing that I like about Mala Punica is that they were pioneers, pioneers of a smooth and fluid style, much more sensual than the a cappella singers (Orlando, and the previous generation of performers with instruments (e.g. the stuff Catherine Bott did with Philip Pickett or indeed La Reverdie) This style has become an element of the mainstream, I think for the good but I can't argue for that, examples include Graindelavoix and Tetraktys. I agree with your point about sound though for me it's certainly not a deal breaker. No point in arguing about singers, you either like Jill Feldman or you don't, end of. Oh well !!! 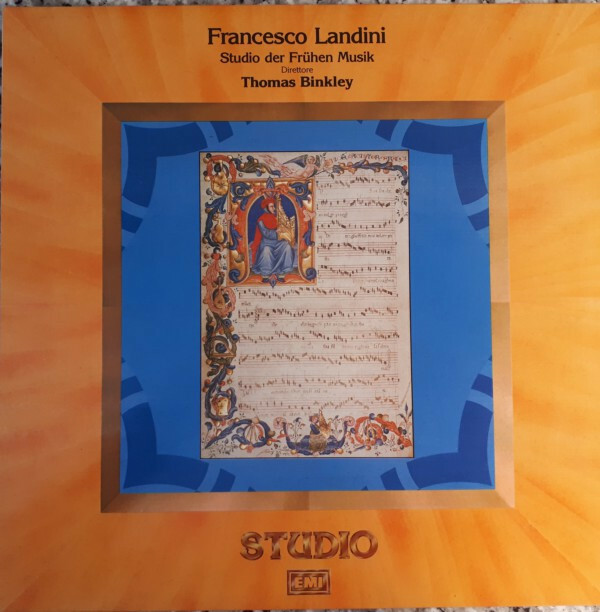 Thanks to God (and to Mandryka) I have finally found a completely satisfying disc of Francesco Landini's music. There remains , to a negligible extent, the post-coitum / post-cannabis sound atmosphere that Memelsdorf & MalaPunica push to an excessive(IMO) level, in the Arcana recording. Evidently this is a sound aura that the music itself of Landini requires. Very beautiful. Listening the two singers involved , it is CLEAR that they are singing an Italian text , not a text written in a language from a distant galaxy !!! P.S. I find Missa Cantilena 'irresistible' ( generally speaking, for reasons of mine, I don't love much Masses ..... but there are three of them I adore : Janacek , Stravinsky and Frank Martin . I add to these now the Memelsdorff/Perugia/Teramo Mass. Great achievement !! Thanks. W la Musica . then they were really unbelievably productive around 1972, I like most of the music I’ve heard of theirs from that year - Ciconia, Machaut, Walkenstein, Landidni. Maybe (I’m not 100% sure about this) at this time, Tomas Binkley was using instruments discretely. I especially like his lute. 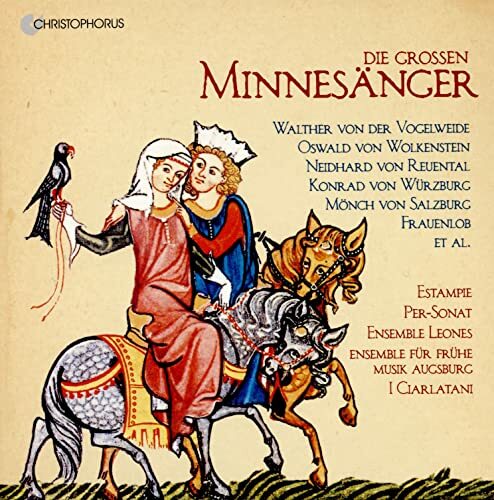 The chansons de Machaut are pretty well done , as well, by the Binkley group. ( I have volume 1 ). 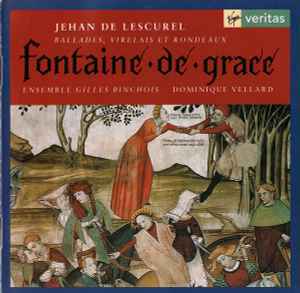 But I sadly miss the Ferrara Ensemble CD devoted to Machaut " Merci ou mort " . Not to be found. Hoping in some future non-expensive multi CD box from Arcana/Outhere , including this Machaut. Let me know if you want me to upload it for you. The late Thomas Binkley founded the Early Music Institute ( or Historical Performance Instutute ) in 1980 , at the Indiana University, Bloomington. I think this is the same institute where the lutenist Nigel North teaches. Has anyone tried the Dufay masses that Binkley recorded with The Pro Arte Singers? Arrived this morning, immediately put it on the player ...... the beginning reminds me of the unmistakable sonic flavour of the Tasto Solo recordings (two members of TS are playing in this disc, Perez and Catalunya) ..... I am fascinated, but also puzzled ..... The perception of something that has been too much "manipulated" is very strong. Put aside for the moment : His Time Will Come !! The guiding thread in all these pieces by Paolo is an aesthetic that new in fifteenth-century music: long melodic sequences, almost tonal in character and intention, go hand in hand with an old-fashioned harmonic ( solemnity. It is as if he was trying to revive structurally the music language of the beginning of the fourteenth century, while at the same time offering a new style of his own. With hindsight, we can see that it is in spirit to the later than the early Renaissance, then only just corning into view. 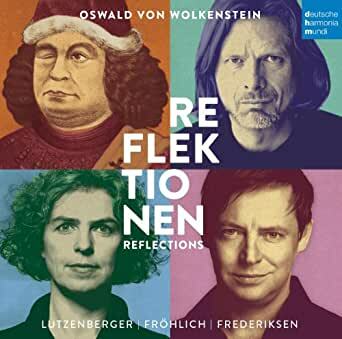 I particularly liked Andrea von Ramm numbers : in track 6 ( Der mai mit lieber zal ) she displays an astonishing agility that almost equals that of Catherine Bott in the same song (Oiseau Lyre disc) but, apart from agility, she is a bit more colourful and ironic than Bott.